Paul Ryan criticizes Trump's China tariffs, saying they aren't "the right way to go"
WASHINGTON -- House Speaker Paul Ryan reiterated his opposition to President Trump's decision to impose tariffs on steel and aluminum imports, saying they aren't "the right mechanism" to punish unfair trade practices by China. 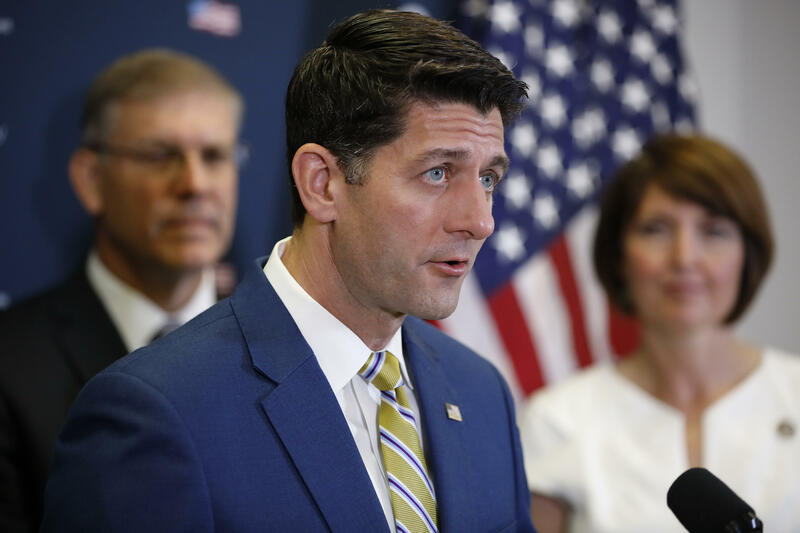 "I don't want to hamstring the president's negotiating tactics, but I've long said I don't think tariffs are the right way to go," Ryan said at a press conference after a meeting of House Republicans on Wednesday. "I think there are legitimate, absolutely unfair trade practices, particularly by China, that we and our allies should be confronting, so that is important to point out ... I just don't think tariffs are the right mechanism to do that." The Trump administration is readying tariffs on another $200 billion in Chinese imports in an escalating trade dispute affecting thousands of products. Last Friday, the U.S. imposed 25 percent tariffs on $34 billion in Chinese goods, and Beijing responded by imposing an equivalent levy on U.S. imports. Ryan has been a longstanding critic of the president's aggressive use of tariffs. In May, he came out in opposition to Mr. Trump's decision to move ahead with tariffs on steel and aluminum imports from the European Union, Canada and Mexico, saying it "targets America's allies." Ryan is far from the only Republican member of Congress voicing concern about the risks of an all-out trade war. On Monday the Senate passed a nonbinding resolution designed to give Congress more influence over trade penalties imposed in the name of national security. Some senators are portraying it as a rebuke of Mr. Trump's use of a national security waiver to impose the tariffs on steel and aluminum imports. CBS News contributor Caitlin Huey-Burns said on CBSN that the issue has become a key policy difference between the president and many GOP lawmakers. "Even allies on Capitol Hill of the president's in the party say that they want to give the president a little bit of room to kind of see how this goes. They're not quite ready to call this a trade war but certainly the concerns are apparent," she said.